Reach for the Stars…Follow your Dreams. With all of this goal talking lately, I thought this was a great card to use for the start of the week. 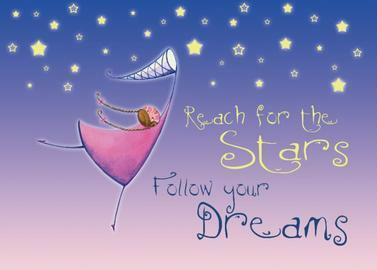 What a way to begin a Monday…reaching for the stars and following my dreams! I hope that you can palpably feel the rush of enthusiasm for the week through my post…how exciting to begin the week with such exuberance! Perhaps you are not feeling this way this morning…or perhaps you’ve caught my goal bug and are enjoying the endless possibilities and opportunities which come with life! If you are not feeling the adrenaline rush of dreaming big, then let me help you…take a moment and just breathe. Stop where you are (in a safe place please) and just breathe…think about how many times a day you breathe…and do you think about it? Probably not…yet without your breathing, you would not be here…it’s a simple task that we take for granted. We hardly give thought to it and yet it is one of the most important things we do each and everyday, many, many times a day. Now look up to the sky and back down to our beautiful Earth…with this amazing weather, Spring has Sprung all over early! Marvel at the green in the blades of grass and at the beautiful buds on the trees, bushes and flowers which are beginning to grow and open to the sunshine of Spring. 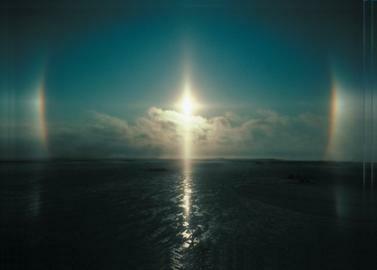 Sit back, get quiet and close your eyes for a moment, let your mind drift to nothing and concentrate on your breathing. What images and thoughts come to your head? Daydream for a moment…what’s your ideal life like? Imagine it, feel it, smell it, let that feeling of utter happiness envelope your brain and your being…can you feel it? Everything is a possibility for you…all you have to do is to believe…and you can succeed! No grumbling about Mondays…it’s the start of a spectacular week of possibility! and allow your dreams come true!